There is no doubt that prices in California continue to be among the highest in the nation, buoyed by steady demand and a healthy economy. A recent report delivered a dose of good news, however, showing that rising wages and seasonal price declines have helped to stabilize California’s housing affordability. According to the CALIFORNIA ASSOCIATION OF REALTORS® Traditional Housing Affordability Index, 31 percent of homebuyers could afford to purchase a median-priced, existing single-family home in California during the last three months of 2016, which is the same percentage as in the third quarter of 2016 and up slightly from 30 percent in the fourth quarter of 2015. The fourth quarter of 2016 was the 15th consecutive quarter that California’s housing affordability index has been below 40 percent. The index peak of 56 percent was registered in the third quarter of 2012. What does this translate to in terms of dollars? Homebuyers in California needed to earn a minimum annual income of $100,800 to qualify for the purchase of a $511,360 statewide median-priced, existing single-family home during the last three-month period in 2016. 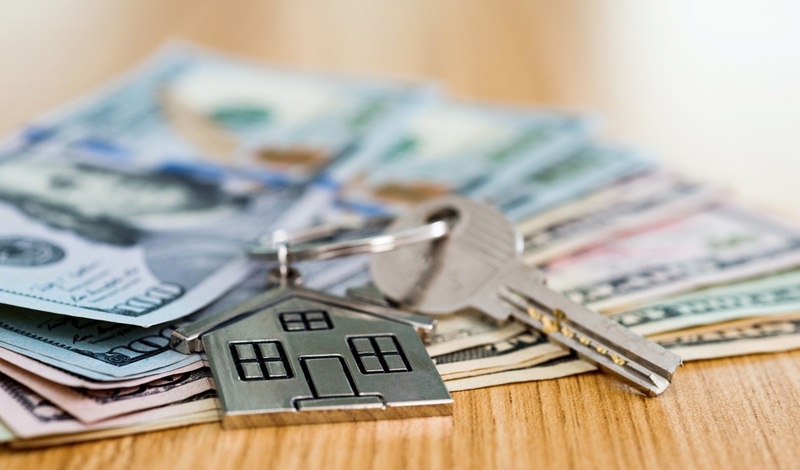 The homebuyer’s monthly mortgage payment, including taxes and insurance on a 30-year, fixed-rate loan, would be $2,520, if a 20 percent down payment was made and with an effective composite interest rate of 3.91 percent. Eight out of 29 counties tracked by the index experienced an improvement in housing affordability in the fourth quarter compared to third quarter 2016. Those counties that saw improved housing affordability are Contra Costa, Marin, Napa, Los Angeles, Ventura, Monterey, Santa Barbara and Madera. The following 10 counties, however, experienced a decline in affordability quarter-over-quarter: San Francisco, Sonoma, Orange County, Riverside, San Bernardino, Santa Cruz, Kern, Kings, Merced, and San Joaquin. The remaining 11 counties – Alameda, San Mateo, Santa Clara, Solano, San Diego, San Luis Obispo, Fresno, Placer, Sacramento, Stanislaus, and Tulare – were unchanged. The least affordable areas in the state in the fourth quarter included San Francisco County, where 13 percent of homebuyers could afford to purchase a median-priced existing single-family home, followed by San Mateo County at 15 percent and Santa Cruz County at 17 percent. Affordability remains a concern not just in Northern California but in other parts of the country as well. In a recent survey by the National Association of Realtors®, Aspiring Home Buyers Profile, affordability was identified as the main hurdle for consumers who wanted to be a homeowner. The supply of available listings is still relatively low in most communities but there appeared to be some pick up in new listings in parts of the region in early February. The managers of the Greenbrae, San Rafael and Santa Rosa Bicentennial offices noted that inventory is on the rise. In Marin County, there were 210 available properties up from 190, while listings priced under $1 million climbed to 55 from 45 and there were 16 properties priced under $750,000, up from eight, said the Greenbrae office manager. However, she also shared that multiple offer situations are occurring, with many offers eliminating inspection and financing contingencies. The Southern Marin office manager also reports that “multiple offers are becoming the norm again” for properties priced under $1 million and often for homes priced between $1 million and $2 million. Meanwhile, sales activity has been flat in northern Marin County, with sellers waiting for the weather to improve, according to the Novato office manager. With so few homes to sell in the local area, sales associates have been traveling to other counties to assist buyer clients in their searches for new homes. The San Rafael manager noted there were many new listings in the office over the last week. This is the first jump in office inventory since the first of the year, he said. There were 72 active properties for sale in San Rafael, however only 38 of those are single-family homes, with the rest being condos or townhomes with some properties under contract. The San Rafael office had seven ratified offers. The median price for active single-family listings in San Rafael is $1,212,500 with an average price per square foot of $588. With the anticipation of the arrival of spring, buyers are swarming open houses and sellers are getting their homes ready for sale, he added. However, the Santa Rosa Bicentennial office manager shared that there are a good number of homeowners who are holding off on putting their homes on the market until they find another home to move into, which means that some move-up buyers aren’t able to find a property to purchase. Meanwhile, the condominium market is very competitive, with sellers enjoying a big advantage in some parts of the region. The Santa Rosa Mission office manager, for example, said condo sales are up by 60 percent and pending sales are up 25 percent. The number of single-family home sales and listings is about the same as a year earlier, he added. As for the luxury market, the Santa Rosa Bicentennial office manager said the lower end of that sector is seeing “good buyer activity with multiple offers on correctly priced homes,” while the properties priced over $2 million are experiencing slower activity and more selectivity among buyers. The Previews market is gaining momentum, according to the Southern Marin office manager, with four new luxury sales in the price range of $3 million to $5 million in the office during the past two weeks. The Santa Rosa Mission office also reported gains in Previews, pointing to a 30 percent increase in pending sales activity but also about 30 percent more available listings in this market segment. Market Watch is a bi-weekly column exploring the Northern California housing market. Click here to view the full article and past issues.